Please, welcome to A Portrait of The Artist Elizabeth. 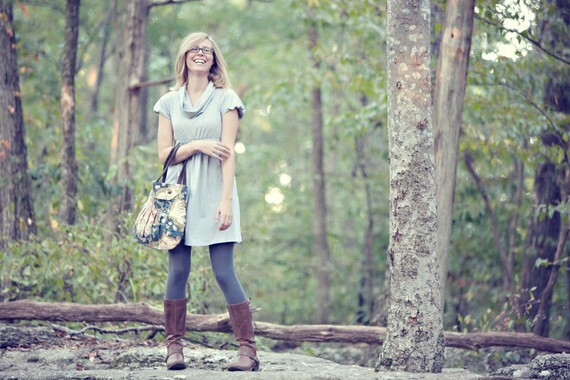 She designs eco-friendly handbags, purses and accessories out of repurposed, upcycled, and recycled materials. She approaches her creations rather sustainably, utilizing already used zippers, buttons, pockets and belts. As she herself points out, “Nothing goes to waste!” Her etsy shop betsyandbess is full of bright and patterned eco-friendly items that attract not only with their beautiful forms but also with the idea of being produced with the environment in mind. When did you first feel the need to be eco-friendly and how does this affect your daily life, apart from your creativity? I don’t remember an exact time or event that prompted me to start considering my impact on the earth. I do remember when the town I grew up in implemented city-wide recycling, and provided color-coded recycling bins. Perhaps that is what got me thinking about recycling and eco-friendliness. In my home, I clean almost exclusively with vinegar. It’s good for almost everything! It deodorizes, it disinfects, it’s seriously fabulous! Whenever vinegar isn’t doing the job, I search the internet for an eco cleaning solution to my problem. The only paper product I use in my home is toilet paper, but of course I purchase the recycled variety. My husband and I also have a vegetable garden, which is fertilized from our compost. When did you start upcycling and were handbags your first choice? 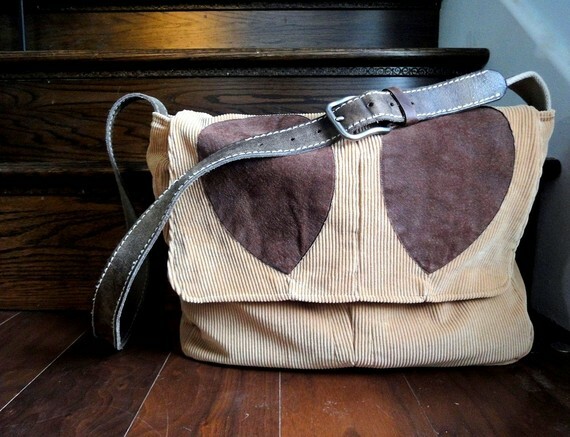 The first upcycled bag I made was quite a long time ago. In high school, my mother shrank my favorite cargo pants. This broke my heart, so I cut the pockets off and made them into a small purse, using the drawstring as a strap. Many years later, I was really pining for a new bag, but it just simply wasn’t in the budget. In order to be economical, and of course, eco-friendly, I made a shoulder bag from a pair of dress pants that I no longer wore. And thus, my bag-making business was born. 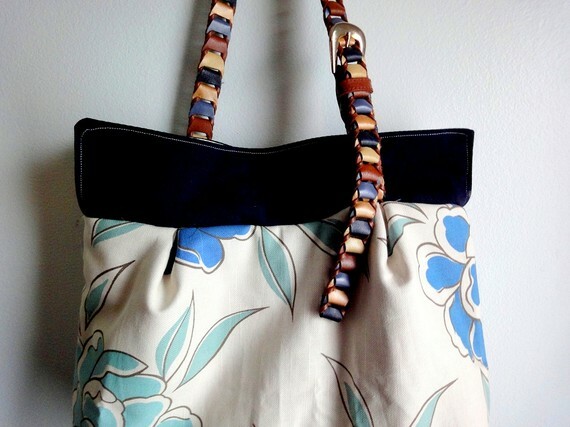 You are using repurposed and upcycled materials to create beautiful one of a kind bags. Where do you get so much materials from? Do the members of your family often wake up to find a belt or any other piece of clothing missing? Where I live we have a local thrift store that is run by a non-profit that employs and guides disadvantaged teenagers. They have an awesome selection of clothing, rack after rack, and often have fabulous vintage items. My husband has, on occasion, recognized something I’ve made as an item of clothing formerly hanging in his closet. I also must give far warning that anyone who gives me something with the intention that I wear it will probably see it later repurposed into something else. That being said, my family and friends are incredibly generous when it comes time for them to clean out their closets. What do you do in your spare time? Tell us a little bit about yourself. 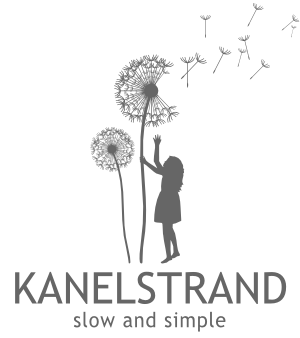 My full-time job is as an ESL (English as a Second Language) teacher to elementary school students. Between that and my sewing, my spare time is spent with my two Dobermans, playing the piano, and working in the garden. Your patterns are so versatile, where do you get your inspiration from? I love browsing the vintage bags on Etsy. I also carry a small notebook and when I see someone carrying a purse I’m drawn to (pun intended) I try to make a note of it. We are loving the professional look of your creations. How did you learn to sew? My mother is an expert. She made her own wedding dress, many of my and my siblings’ clothes, and my prom dress, among many other things. Though at the time I wasn’t keen on learning, she taught me to sew. She still offers a critical eye to the things that I make and gives me helpful and constructive feedback on improving my technique. Tell us about your brand new addition to your etsy shop, the Eco-Friendly Floral Sun & Garden Hat, we thought you were mostly into handbags! Sigh, my attention is so easily diverted to other things! My family has a vacation planned for the beach this summer, and I can never find a hat that suits me. 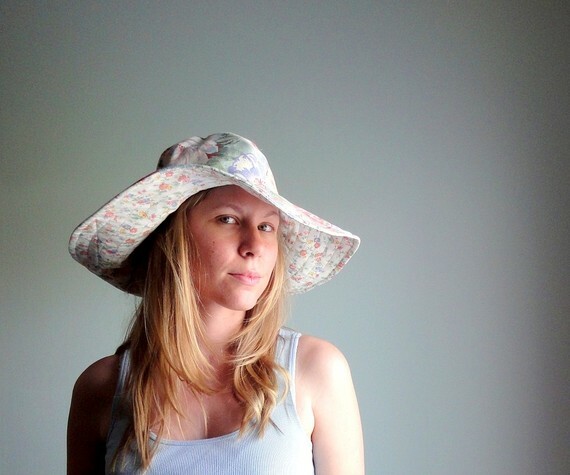 I made one, loved it, and took a look around Etsy to see what the market was for hats. I decided that hats would be a lovely addition to my shop. What are your plans for developing your brand? I’ve been doing a lot of reading and pondering on this exact topic. My plans are to focus my bags into a few select styles, with a variety of details. (Laughing at myself as I write this seeing as I just made a hat - note to self - that is the opposite of ‘narrowing your focus’.) I’m working on finding my “niche”. Which is your current favorite item by another etsy seller? Right now I’m loving the embroidery in this shop - whatnomints. I will probably buy this one, loving it! I love the bag Elizabeths's wearing in the first picture. I loved the story of how Elizabeth got started, as well as her "fair warning" to others that what they wear is fair game for another handbag project. So wonderful to put everything to good use, not to waste, and to turn out beautiful work like this. Great interview! I love that upcycled hat. There should definitely be more upcycling designers in this world.